Top left picture: Stain glass detail from St. Mary's Priory Church (below picture too), Old Malton. 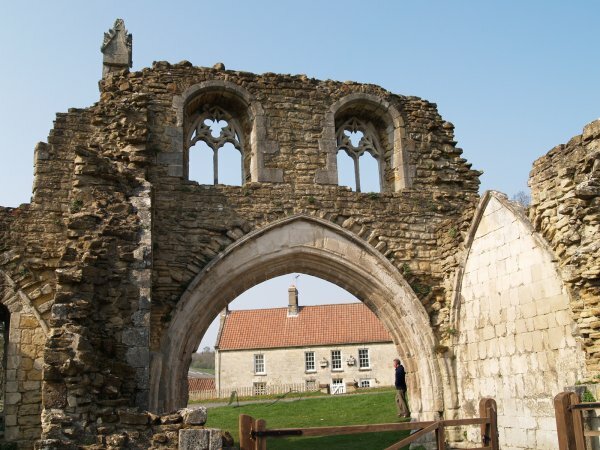 Top right picture: A fragment of stonework from the once great building of Kirkham Priory 5 miles south-west of Malton just off the A64 road to York. 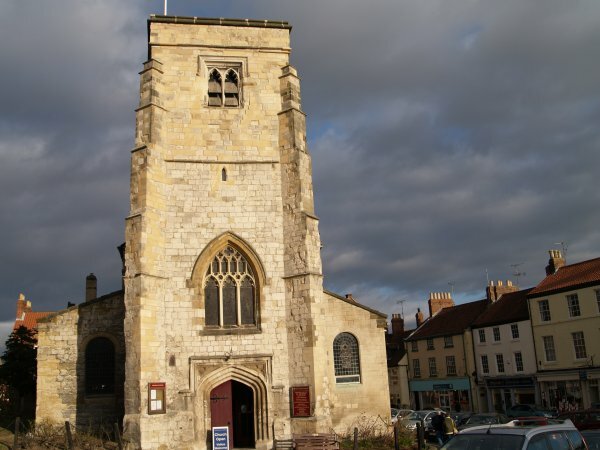 As well as the lovely friendly town of Malton, close by is the wild moorland walking country of the North York Moors, the wider District of Ryedale in North Yorkshire, The rolling Howardian Hills and the Yorkshire Wolds, plus lots of lovely towns and villages to visit in these areas, many having particular interests and attractions for tourists-visitors in this part of Northern England. 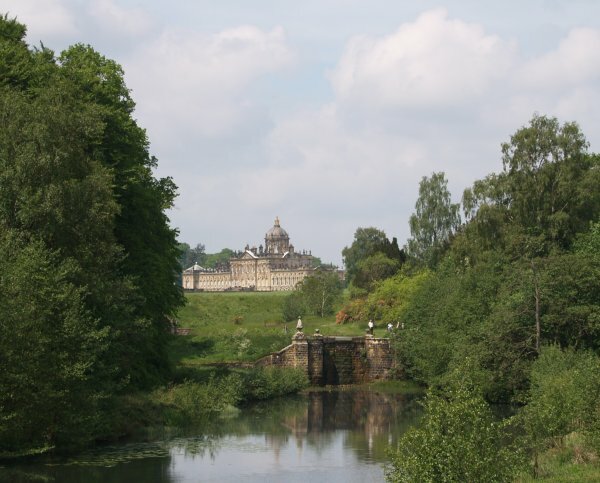 There is no shortage of accommodation from bed and breakfast, holiday cottages, hostels and hotels etc. 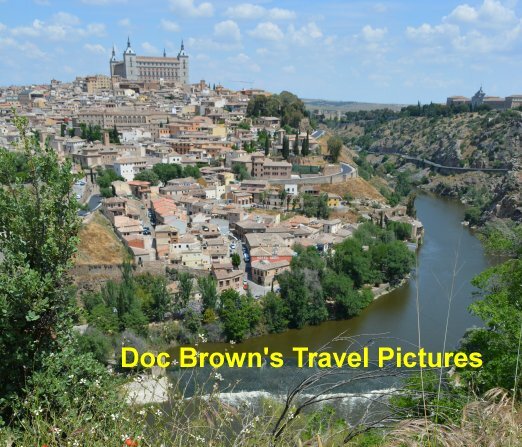 Three such interesting villages are described by a few token photographs which I hope will encourage and enthuse you to visit them. I feel lucky to live in this are of outstanding natural beauty and can go out walking/motoring with a digital camera to happily explore and record in images-pictures what I see, but all is best scene 'live'!